Greece’s search for debt relief is posing difficult political questions in other eurozone countries that received international bailouts and claimed they had no other option but to accept creditors’ demands. If Greece succeeds in securing major concessions, governments in countries like Ireland and Portugal—both of which face general elections soon—will face uncomfortable questions about whether harsh austerity was really necessary. The Greek government Thursday submitted a fresh proposal for economic policy overhauls and budget cuts that appears to have moved closer to creditors’ conditions for providing fresh loans. The Greek government is also seeking a restructuring of its existing debts, securing support Thursday from Donald Tusk, who presides over talks between European leaders. The U.S. government and the International Monetary Fund had previously backed debt relief for the country. It seems unlikely that the relief will come in the form of a reduction in the face value of the debt, a step that would have left Ireland and Portugal—as well as many other European nations—facing losses. Back in 2010, both countries contributed to Greece’s first bailout, shortly before themselves needing help. Instead, the debt relief sought by Greece is likely to take the form of a longer repayment period at lower interest rates than previously agreed. But even in that case, other governments of bailed out countries would face uncomfortable questions ahead of upcoming elections about their own harsh austerity programs. Ireland was the second eurozone member after Greece to receive a bailout from the European Union and the International Monetary Fund. Unlike Greece, it stuck closely to the economic program agreed with its creditors, which it completed in late 2013. It has since taken advantage of low borrowing costs on the international bond markets to repay most of its debts to the IMF, and in 2014 boasted the fastest-growing economy in Europe. But despite those successes, it is struggling to move on from the crisis. 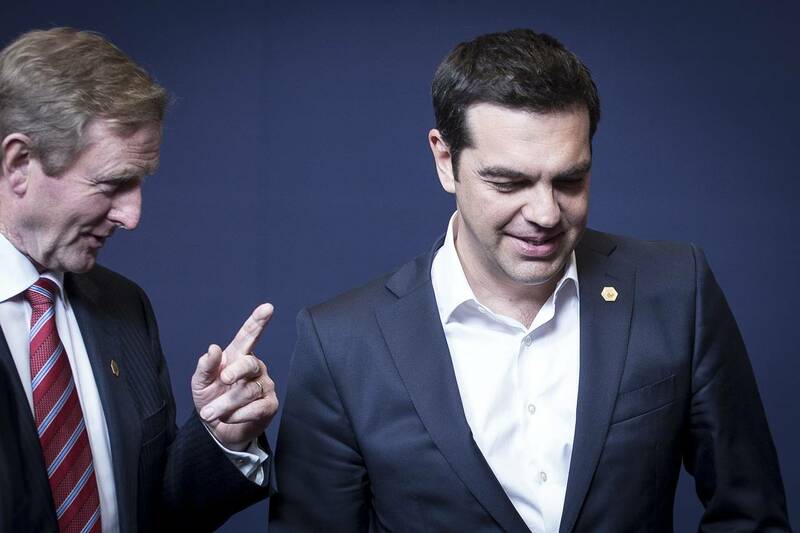 While Greeks nervously await the outcome of a fresh round of bailout negotiations, Irish lawmakers have this week been questioning those involved in the country’s 2010 bailout deal—including the then prime minister—as part of an inquiry whose conclusions will likely be published before elections that are due in April of next year at the latest. One of the key questions they and their voters want answered is why Ireland agreed to repay debts that were incurred by banks before they were taken over by the government, a decision that meant the spending cuts and tax hikes were more severe. In that context, debt relief for Greece will raise questions about how well the government defended Irish interests in its talks with other European nations, and chiefly Germany. The main, left-of-center opposition party has aligned itself with Greece’s governing Syriza party, and supports debt reduction for Greece. Sinn Féin also wants some of Ireland’s debts to be canceled, and has accused the Irish government of denying debt relief to Greece simply to avoid highlighting its own failings. Speaking Thursday, Irish Finance Minister Michael Noonan rejected that charge, and said he is prepared to accept a debt rescheduling for Greece, rather than a write-down. 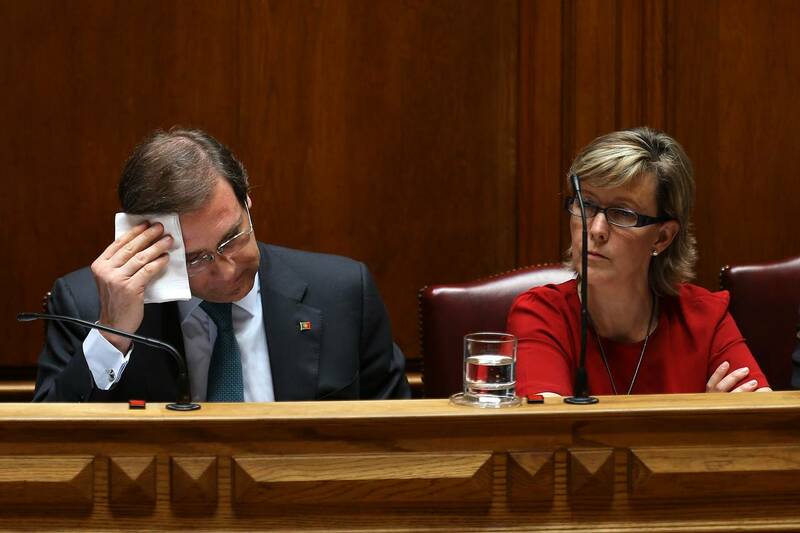 In Portugal, which is holding general elections later this year, any better deal for Greece will likely mean trouble for Prime Minister Pedro Passos Coelho, whose coalition is slightly behind the main opposition Socialist party, according to recent opinion polls. Mr. Passos Coelho has spent the last four years telling the Portuguese the country had no other option but to undertake sharp spending cuts and tax rises to bring down its public deficit and debt. Unemployment peaked at 17% and the economy contracted more than 6% from 2011 to 2013. Nonetheless, Portugal exited its bailout program as scheduled in May last year. “The strategy of rigor and credibility that we followed was the right one,” Mr. Passos Coelho told parliament on Wednesday, saying as a result unemployment is falling and the economy is growing again. But if Greece gets a better deal now, the Portuguese will most likely question that, particularly because improvements in the economy are still elusive for many, who have suffered salary cuts and higher taxes. Posted on July 13, 2015, in Postings. Bookmark the permalink. Leave a comment.